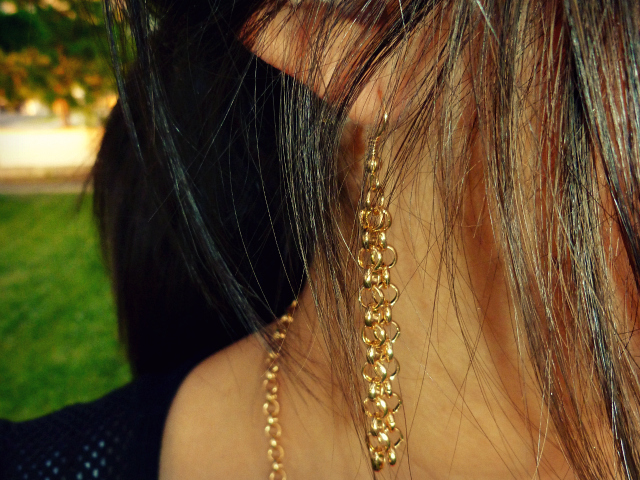 I got these lovely pieces of jewelry in the mail last week from Cents of Style. 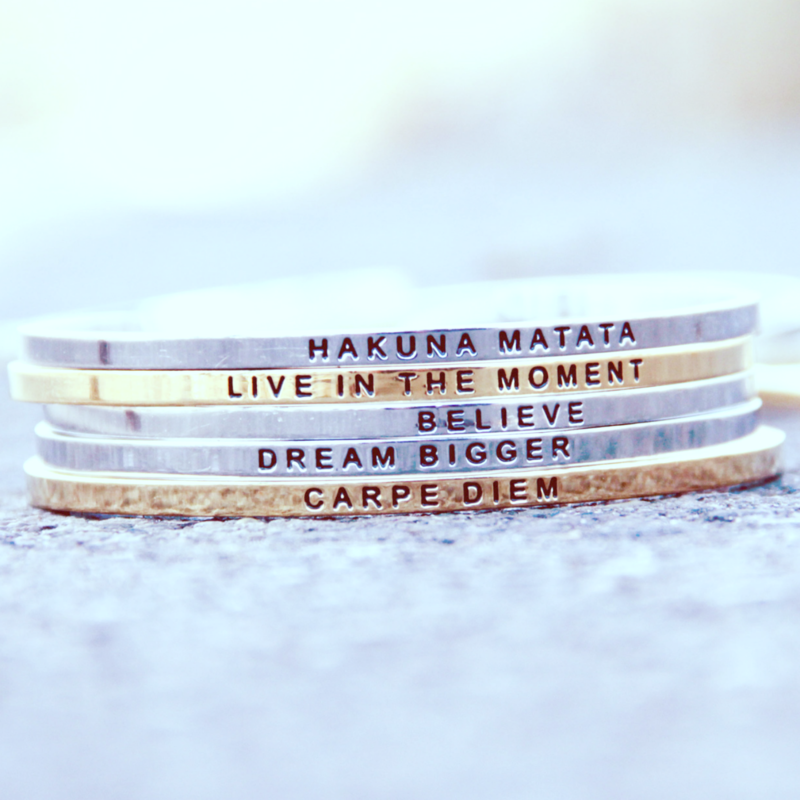 I absolutely love that they have unique jewelry at AFFORDABLE prices. One thing that really ticks me off is when I see a piece of jewelry and fall in love with it but then see that it's way overly priced. Cents of Style also provides FREE shipping for all US orders! How cool is that? I received my items so quickly and was really pleased with their amazing customer service. When I saw this necklace online I knew I had to have it. I love coral.. 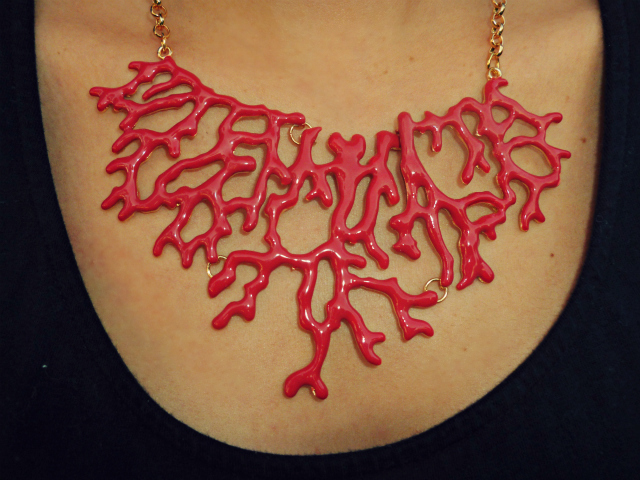 I think it's so pretty and this coral inspired necklace is not only coral but red as well! I've been on the lookout for shorter necklaces lately and I know I will be wearing this a lot in the future so this isn't the last you'll see of this beauty. PS: Don't forget to enter the My Life in Lavender Giveaway! Today is the last day!!! That necklace is awesome, Cecilia! love it!! the shorts and the necklace are gorgeous! 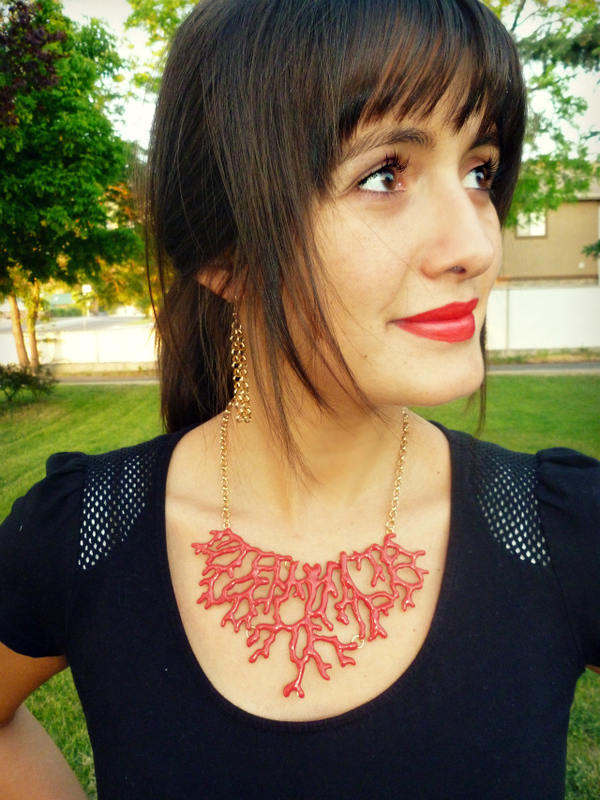 The coral necklace is really nice, great for summer. And you're beautiful! that necklace is so pretty, especially with your outfit - loving all the coral/red. Love this outfit!! I esp love the necklace!! Gorgeous necklace Lou! And free shipping??? Yes please! oh i LOVE the shorts. they are amazing. that necklace is even more amazing. its so beautiful thanks for sharing the site with (me) us. This is a lovely color on you. You look great as always. Red is your color! you look great. 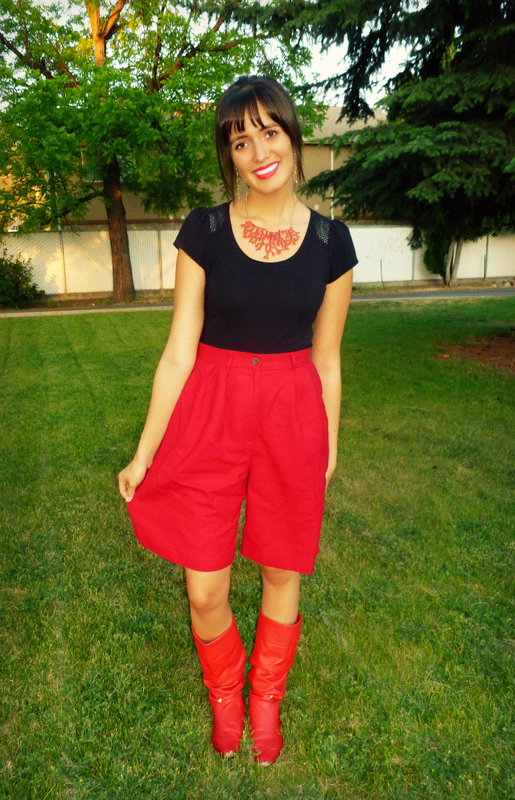 Love your necklace, black and red is such a great color combination in general, but especially on you! Another fantastic look! I love those shorts with the worn in boots, great combo! I love these boots. Oh my heck are they fabulous! I having a Feature Friday Linky Party and would love for you to link up. That necklace is adorable Cecilia! Red looks wonderful on you. Gasp! I love that necklace it looks soooo great on you!